It's the timeless story of romance. Boy meets girl... romance is in the air. 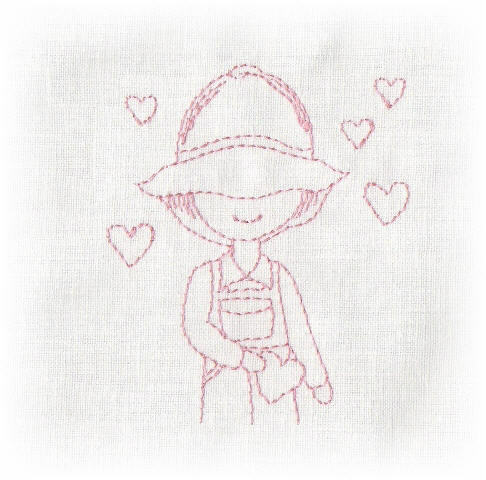 These adorable redwork designs sew very quickly, and will bring you joy for years to come. 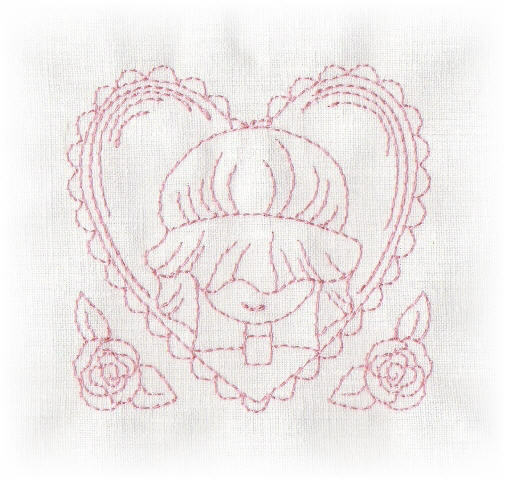 Stitch them on felt squares, cut the edges with pinking shears, and tuck into an envelope or hang on a gift bag. Use in the center of quilt squares for a fast way to hold all of your layers together. All of the designs fit in the 4 by 4 hoop. Try these any time of year for a touch of sweetness. To purchase these designs, click here. 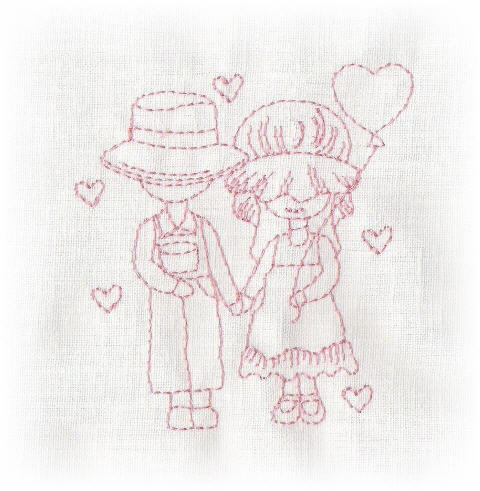 Or, to purchase these designs and a quilted wall-hanging pattern, click here. Stitching right over the embroidery! Lots of people agree that sometimes it's just easier to keep stitching --- right over top of the embroidery! In the case of redwork designs, I think that's very true! 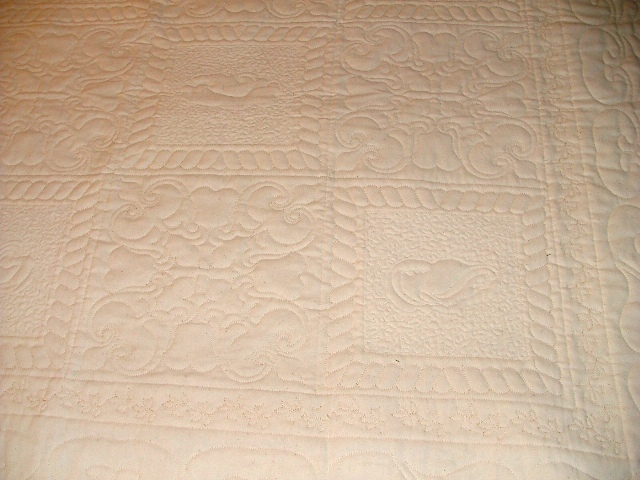 This quilt was done on a Gammill machine with a Statler Stitcher (computerized), and it would have been impossible to stop the machine for each tiny line that I crossed. The stitching is imperceptible on the redwork, and not a distraction at all. The embroidery designs used in this quilt are from Bonnie Domeny at Threadlove Embroidery, and you can find the collection of all ten ballerinas here.